We’ve all seen those adverts on TV asking us to donate money to charities pledging to help vulnerable people in our world’s poorest countries, but I don’t think charities are going about it in the right way. 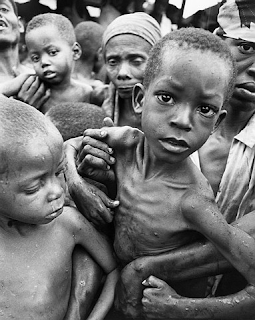 People donate money, but then all they see are more adverts telling people how bad the situation is in countries all around the world. If they showed us a more positive image, maybe more people would be willing to donate because they could see how their money is likely to help. We all like to think we can somehow change the world, but the truth is, we can’t do it alone. We need to work together, as a world community, each doing our own little bit. Donating money to charity is a great way of doing just that. Over recent decades poverty levels in our world’s poorest countries have decreased. Some parts of Africa have seen a decrease of more than 30% in their poverty rates, benefitting from various things such as better housing to clean water. Yes, even something as simple as clean water, which we take for granted in the developed world, can change lives. So let’s stay positive. Our money does help and together we can continue to help improve people’s lives all around the world.